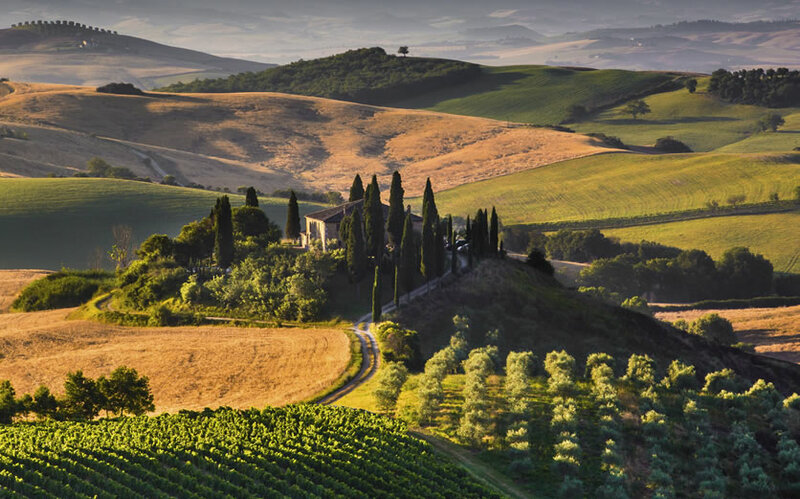 Join us on a unique visit to Tuscany. 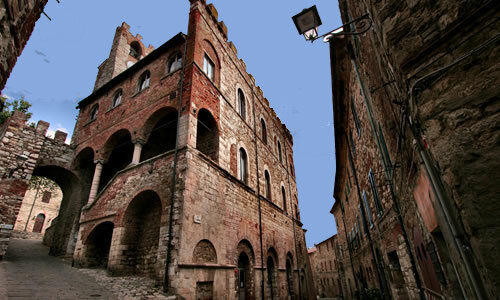 A journey to the newest and oldest wine regions with a stay in the most historic of cities, Siena. We meet up today at Pisa Airport to connect with the British Airways flight arriving at around midday. We join our coach for the journey towards the coast where we will enjoy our first tasting together with lunch at the celebrated winery Tua Rita. The property was purchased in 1984 by Rita Tua and Virgilio Bisti with their first vintage in 1992. 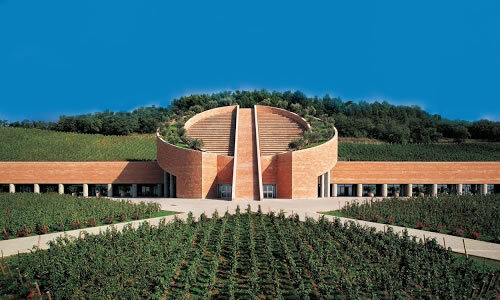 The winery at 300 feet above sea level produces some classy wines with their 100% merlot having achieved cult status. We then travel to our first overnight stop in Suvereto (picture above), a charming 10th century classic medieval village whose origins date back to before the year 1000.Situated on the slopes of the hills overlooking the Costa degli Etruschi, it is a true jewel, rich in history and art, set in the green valley of the River Cornia. Our first visit today in the Coastal Region will be to the Frantoio Giovani Olive Oil pressing facility and from there on to a tasting, tour and lunch at the impressive Petra Wine (pictured above), situated close to the village of Suvereto, on the ferrous hills of the Val di Cornia where you can see as far as the Tyrrhenian Sea. Petra is continuously caressed by winds that revive vine-growing and oenological memories dating back to the Greeks and the Etruscans. Something so modern and functional is, at the same time, a deep-rooted tradition that loses itself among the lines of a beautiful story. Our second visit is to the small and prestigious DOC Bolgheri region to Tenuta Argentiera which is part of the old Estate of Donorato that once belonged to the Florentine Serristori family. Their “Supertuscan” wines made from Bordeaux grapes are rich in flavour and long lasting. Our second night in Suvereto (pictured above is free to explore the charming village and maybe dine in one of the other small restaurants. Our journey today takes us from the coast to Brunello and then on to Chianti Classico. Our first stop is at the Argiano Estate which envelops a nucleus of buildings, extending across an area of about 125 hectares, occupied by vineyards, olive groves and woods. Access to the estate is via roads marked by traces of flavours and dusts that date back centuries and which intersect unique atmospheres and panoramas: the peace of the countryside, with its characteristically slow pace, wide open spaces, ever-changing seasons and alternating colours. Argiano’s wines are highly acclaimed worldwide and their “Supertuscan” Solengo features on some of the great wine lists in Italy. Lunch today will be at Restaurant Il Leccio in Montalcino after which we will move on to a second winery in Brunello for our next wine visit of the day. 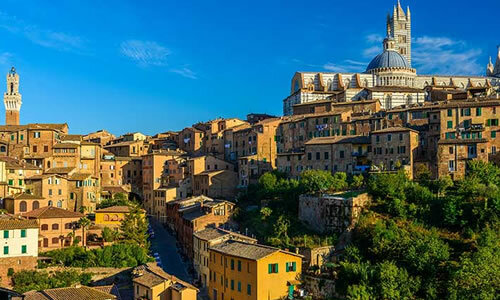 We then leave Brunello and take the one hour drive to the world famous historic city of Siena (pictured above) which needs no introduction. We check in to our four star city central hotel where the evening is free to explore and take in the evening sights and sounds and dine at your convenience. The morning is free to wander, sightsee, photograph and for those that feel the need for a little retail therapy the shops will be open. We leave Siena around mid day and make the journey north to Chianti Classico whose territory covers the communes of Castellina, Gaiole, Greve and Radda in Chianti and parts of other sub regions. The borders of the Chianti Classico wine production area have remained unchanged from those established by ministerial decree in July 1932. This was the first wine region in the world to ever be given an appellation. We visit the Chianti Classico Academy situated in an ancient convent in Radda in Chianti for an introduction to Chianti Classico featuring a tasting of Chianti Classico, Vin Santo and Olive Oil with a light lunch. Our second wine visit today is the charming Castello di Monsanto situated in the hills of Val d’Elsa from where you can see the towers of San Gimignano. From there it is back to our hotel in Siena where the time is your own. There is a supplement for single occupancy of £165.00 per person.